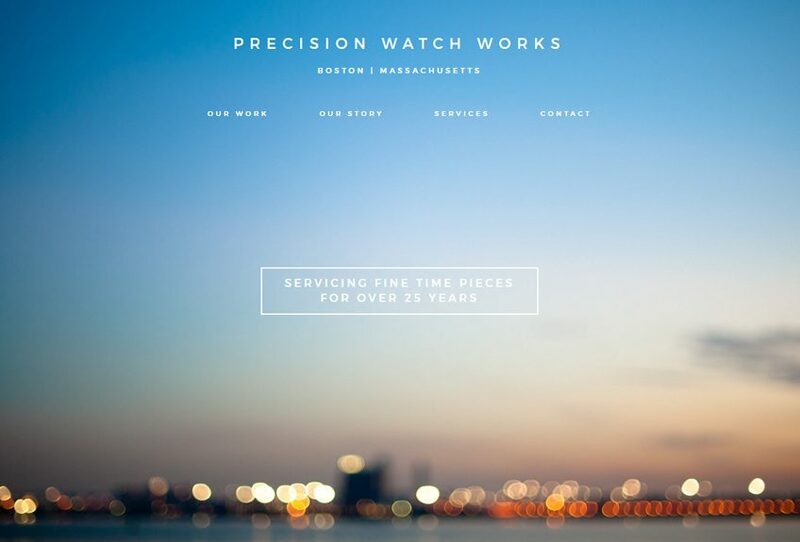 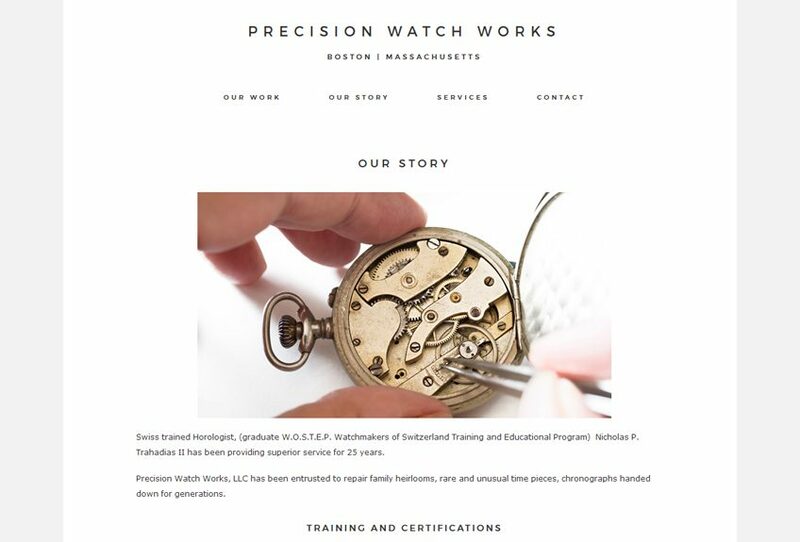 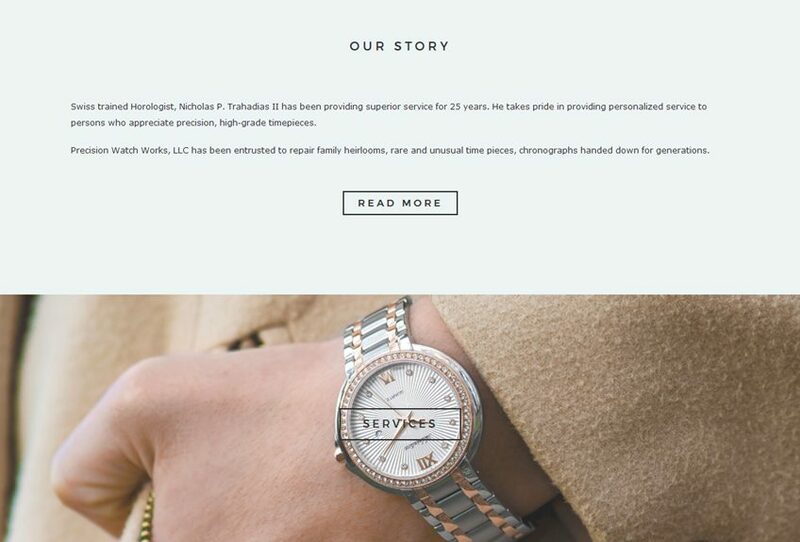 Boston fine timepiece repair shop Precision Watch Works wanted a clean, modern website design which communicated luxury to its clients. 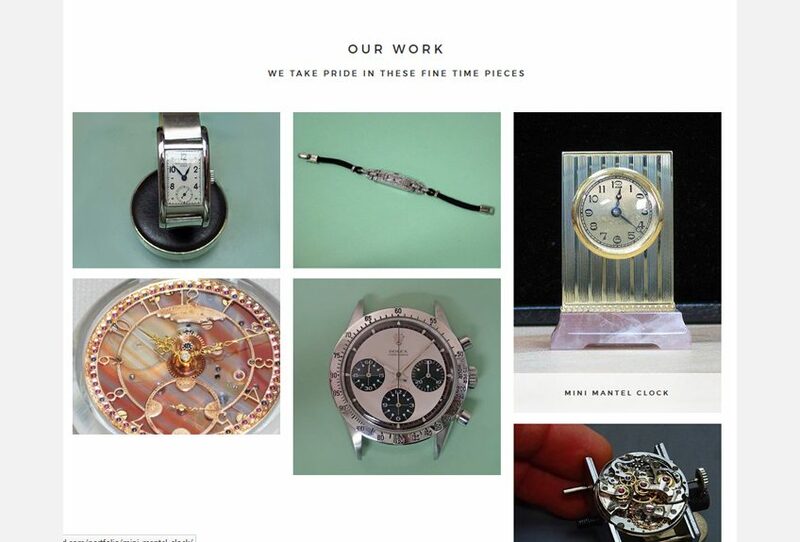 This one page, scrolling theme with high-end images was the perfect match. 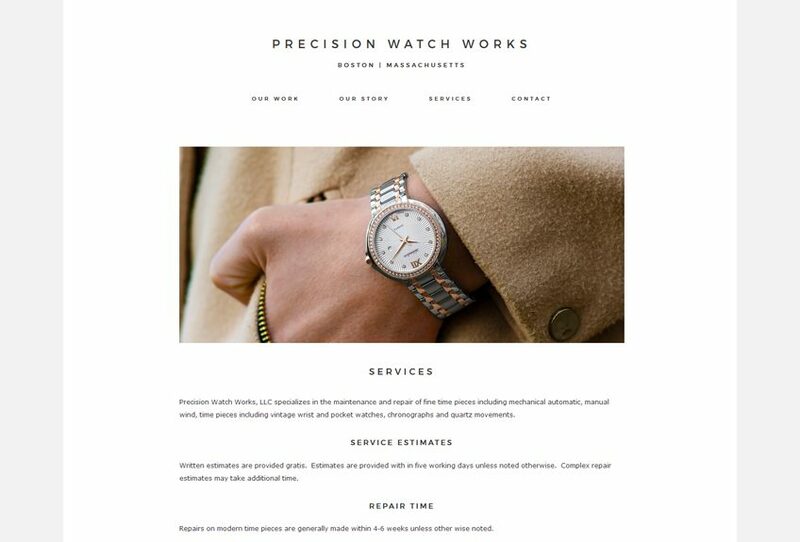 I also worked closely with Precision to hone their text for best search engine optimization.